In this session, we were joined by Henry Mathias, Head of Professional Practice and Standards at the Care Inspectorate. Henry gave the group an introduction to the standards and insight into the rationale behind their development. The group then had time to ask questions and to discuss what they had been told. What have you taken from today’s meeting? 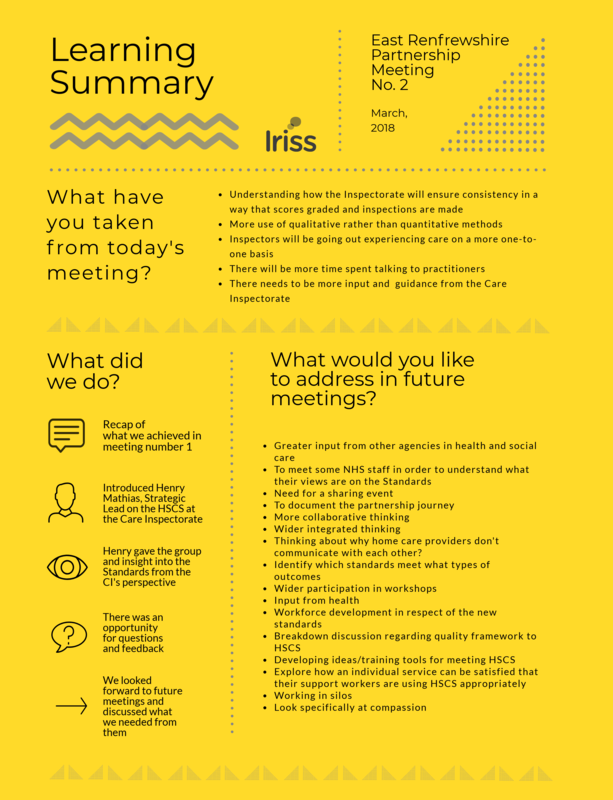 What would you like to address in future meetings? Thinking about why home care providers don’t communicate with each other?